Join us to celebrate the incredible 35-year career of the best-selling female artist of all time. 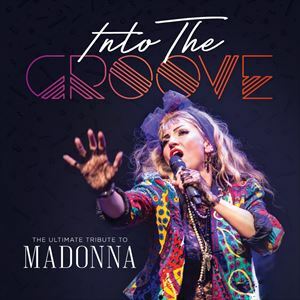 This dazzling and colourful production features all of Madonna's greatest hits such as Holiday, Like a Prayer, Papa Don't Preach, Material Girl, Vogue, Music, Hung Up and many, many more! Recreating highlights from her breathtaking live tours, this show pays tribute to the classic songs, spectacular costumes and iconic dance routines that have earned Madonna the title Queen of Pop. It's generating such a buzz around the country that Madonna fans everywhere are digging out their lacy gloves, conical bras and cowboy hats and preparing to get Into The Groove!